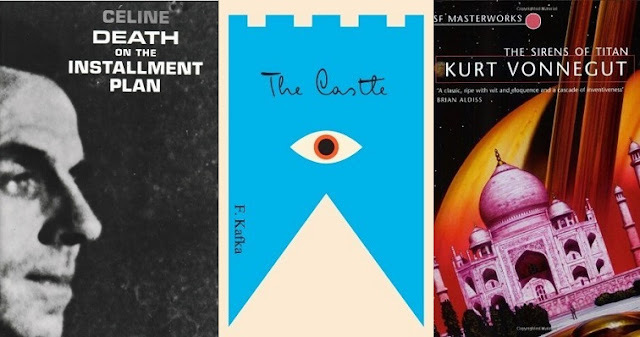 Philosophical novels use fictional stories to explore thought-provoking and often disturbing questions about consciousness, morality and the human condition. The following collection of philosophical novels take a gallows humor approach to these heavy issues. Ranging from autobiographical to off-the-wall, they offer stories that will make you laugh, wince and think all at the same time. Kafka never finished this dark and surreal novel, and it wasn’t published until two years after his death. It depicts a man identified only as K., who arrives in a remote village and attempts to gain access to the mysterious, dictatorial authorities who govern from a nearby castle. It was adapted into several films, most recently the 2015 movie K set in Mongolia. This darkly comedic novel follows the misadventures of a hyper-logical Irish manservant and his master in a branching and nonlinear narrative. Beckett wrote most of it while on the run in southern France during World War II, and, along with his other print and stage works, it helped earn him the 1969 Nobel Prize in Literature. Céline’s sequel to Journey to the End of Night provides a disjointed fictional account of the author’s childhood in Parisian slums and his sexual escapades, illnesses and struggles to make a living. Considered the predecessor of modern black comedy, it explores the absurdity, meaning, sordidness and beauty of human life. During their journey to an unnamed destination, a valet tells his master the story of his loves, which is frequently interrupted by the introduction of other characters and various comedic mishaps. Two centuries after it was written, Diderot’s novel was dramatized by famed author Milan Kundera. Although not as famous as his classic Brave New World, this satire about humanity’s desire to live forever won Huxley the 1939 James Tait Black Memorial Prize for Fiction, one of the oldest British awards for English-language fiction. It tells the story of a Hollywood millionaire who fears death and his personal physician who is working on a theory of longevity. Greg Hickey is the author of the accessible, philosophical, grown-up choose-your-own-adventure novel The Friar’s Lantern and the curator of The 105 Best Philosophical Novels.